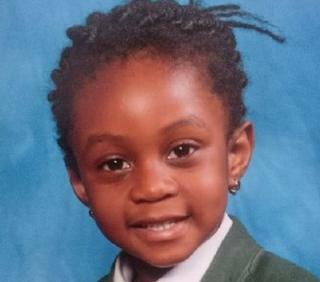 A five-year-old has died after play equipment collapsed on her in a park. Alexia Walenkaki was playing on a rope swing in Mile End Park, east London, on Friday night when a tree trunk holding the swing fell on top of her. She went into cardiac arrest and died in hospital about an hour after the accident in the children's playground. Police are investigating the collapse. Alexia's mother Vida Kwotuah said she watched in horror as the tree trunk knocked her daughter to the ground. She told the BBC she saw a "log falling down" and from the way it broke, she could tell "the log was rotten". Alexia was taken to the park about five times a week, because she loved playing there, but Friday was a special visit with friends to celebrate her upcoming sixth birthday. Her mother said: "She was so happy playing, and all along I was watching her every move." Before heading home, she had asked her mother if she could have just one more go on her favourite ride - the swing attached to posts made from tree trunks. "I saw the log falling, so I ran over there. When I got there she was already on the floor," her mother said. Asked whether she felt the accident could have been avoided, she said: "Surely. If the play equipment was checked properly I'm sure that that log wouldn't have been there, or if it was there it should have been a much stronger one, than the one that killed Alexia." She said her daughter's death had left a void in her family. "During the day you have friends and family visiting to keep you company so it keeps you strong but at night, Austin and I, when we go to sleep, we just look at her place and it's a void, you go into the bathroom and you see her toothbrush and toothpaste." She added: "I want people to know Alexia was a very strong girl, she was lovely, she was likeable, anyone who meets Alexia falls in love with her and I want people to remember her for that." The park remains closed, but friends and family have been leaving floral tributes to Alexia. One tribute reads: "Dear Alexia, you were my best friend in the whole wide world. When I fell over you would pick me up. You were good at football, you are indeed my best friend, Corrine." Mile End neighbourhood policing team tweeted: "We would like to express our sincerest condolences to the family of Alexia Walenkaki, who tragically died in Mile End Park on Friday." The Metropolitan Police and the Health and Safety Executive (HSE) are jointly investigating the death. Post-mortem tests are due to take place on Wednesday. Tower Hamlets Council said it would not comment while the police and HSE investigations were ongoing. A spokesman added: "The council would like to extend its deepest sympathies to the family involved."